"Check and mate to your King!" is the usual ending to the story, but here is one with a different twist. 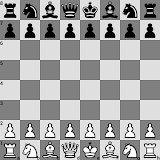 Game 4 from 1,000 Best Short Games of Chess, by Irving Chernev.